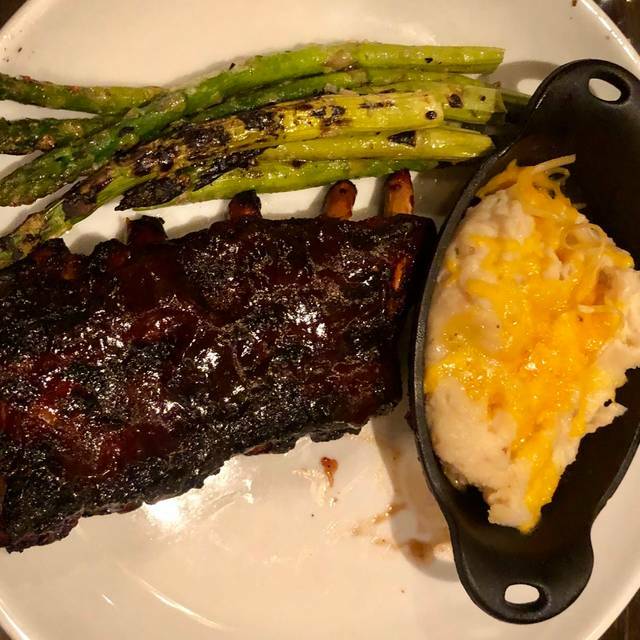 Keeler’s Neighborhood Steakhouse is the answer to the demand for a high value for the dollar, top-quality steakhouse experience in north Scottsdale — at last! Keeler’s Neighborhood Steakhouse features only the finest Certified Angus Beef (CAB) steaks, freshest available seafood, chicken, and American specialties that redefine comfort food, served with professional yet unpretentious service. 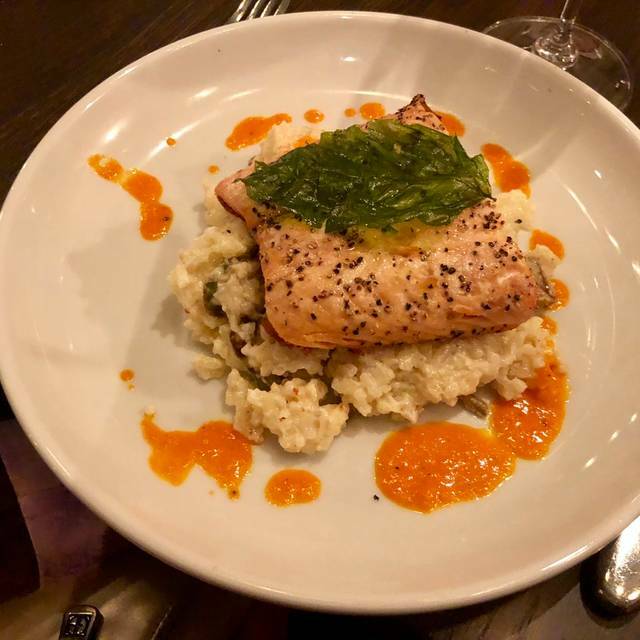 In addition to fine dining, Keeler’s featuring an inviting and upscale neighborhood social house atmosphere that encourages conversation and laughs among old friends and new. What a wonderful meal! Easter Sunday brunch. Every Single Dish was spot on, delicious, seasoned perfectly. All four of us raved at how good and satisfying the meal was. Our server Maureen (Shiela (inside joke)) was fabulous. She knows how to engage with the guest. Made us feel like we had been long time customers on our first visit. Front of house staff were friendly and efficient, staff clearing plates and refilling glasses here efficient and friendly. Only complaint I have is that we haven’t found this place sooner! What a fantastic scrumptious meal! The prices for a steakhouse were quite good, but the meat quality couldn’t have been what was represented. The prime ribeye was a very average cut with a lot of grizzle and quite tough. I asked about cooking temperature and was assured that they would get it as specified. I wanted rate/medium rare. It came out medium well. The truffle fries were soft though tasty. My guest got a filet cooked as ordered. Another guest had scallops that were over cooked and a bit rubbery. It was very busy so serviced suffered a bit. I had made a reservation thru open table, but the table was right in the kitchen path. Not a preferred spot. For a $300. Tab it didn’t seem expensive, but will have to get a lot better to return. Good food and service. I had the rib which were very tasty. Worth going to again. We went with friends and all of us have dined at Keelers a couple of times before. This review is for our mid week reservation that took way too long. We had hoped the manager would swing by our table but this was first time he did not. Food was tasty but Keelers isn’t a “3 hour dining experience kind of place”. First time for dinner. Nice atmosphere and perfect table: tranquille since we had a 5 years old with us. Attentive service except for a misunderstanding on our order of the porterhouse. They brought pork chops instead. But they made up for it with a small reduction and nice deserts. Excellent meats. I had the rack of lamb cooked to perfection. The sides are included when you order meat. My husband raved about the porterhouse which he shared with our daughter. Only our soup and salad were good. My $45 steak was incredibly tough and inedible and my husband’s salmon was over cooked and flavorless. Service was great and restaurant itself is beautiful. Not sure if we will try it again. Service was not attentive; server never poured refill wine. Never had a bad meal and ALWAYS have great service! Great service! Manager came to check on our steaks if they were to our liking, which they were perfect! Ambiance was nice. Food was very tasty!! We will definitely be back. The only issue was that a petite filet steak was unfortunately cooked to medium even though it was ordered to be medium rare. Brunch is not ready for prime time... We made a reservation for a party of 6 and 4 of the meals were missing something that was listed on the menu including toast, bacon an avacado. The hash browns were extremely undercooked. The manager did apologize and adjusted the bill which was appreciated but it was not a great experinece for our out of town guests. Our dinner experience was much better, but I will wait to read good reviews about the brunch before returning. We love Libertu Station, and have fallen in love with her "sister"! Keeler's is a nice neighborhood steak house, with a fantastic staff. Food is good, and reasonably priced. Prime rib ordered medium, came out very rare, tasty though. Salmon was excellant. Service very good. Will definitely go back and have already recommended to friends. Great food and service. There are several sitting area including one on top of the restaurant. We had a fabulous waitress, food was very good, timing was excellent. It was a great experience! Perfect Location! Service was superb & food was amazing! We will be going back! Excellent service and atmosphere. Food was good but not great, avoid the brussel sprouts, tasteless. Steaks were cooked to order but someone in the party ordered fish and it was over cooked and dry. We liked the martinis however they were servived in the wrong stem ware glasses. Would go back and give them another try in the future. 1st time there and will recommend to friends. Enjoyed our visit, our prime rib wasn’t very flavorful tasted more like steak. Salad was good but I would have rather had a side salad with standard cucumber tomato onion with mixed greens. Other wise ok. Bigger variety of appetizers. This was a great experience the first and second time but food seems to not be a good since that time. Our salad lettuce was warm, dry and tasteless. The risotto and mushroom were very good. Sorry but it may be a while before I try this place again. This was our second visit to Keeler's. The first, was when my son was returning to MCT training at Camp Pendleton and we thought this would be a great 'going away' dinner. It was fabulous! The staff was amazing. When he came home for two weeks of RA, he asked if we could go back before he shipped out. True to form, the staff welcomed us, was incredibly attentive, and did some special things to thank him for his service to our country. The good and service here is top notch and its great to have a high-end restaurant in Cave Creek/Carefree. I had read so many good reviews on the service and saw so many delicious pictures, I was saddened by our experience. Our server was friendly when we sat down. I had a weird experience when I asked for cucumbers to be added to the spinach dip... it was presented that this was a problem. I ask for a veggie side with all dips and have never have been told that the chef would not do this on the future if asked. This kind of put a damper on our experience. My steak salad was good. My husband’s steak was over cooked, yet he ate it without complaining. Our server rarely came by, but the support team was on it... clearing plates and filling water. For the price, i will likely not return. My wife and I live up in the area and would say it is one of the better restaurants in the area. Great staff and great food! Good food. Great prime rib sliders and sandwiches. Very good service too. Good time and great steaks. Two of us had the sea bass special and that was not so good. Dry and no taste. This was our second time to dine at Keeler's. The location is very convenient for us. This time we sat outside which was lovely. 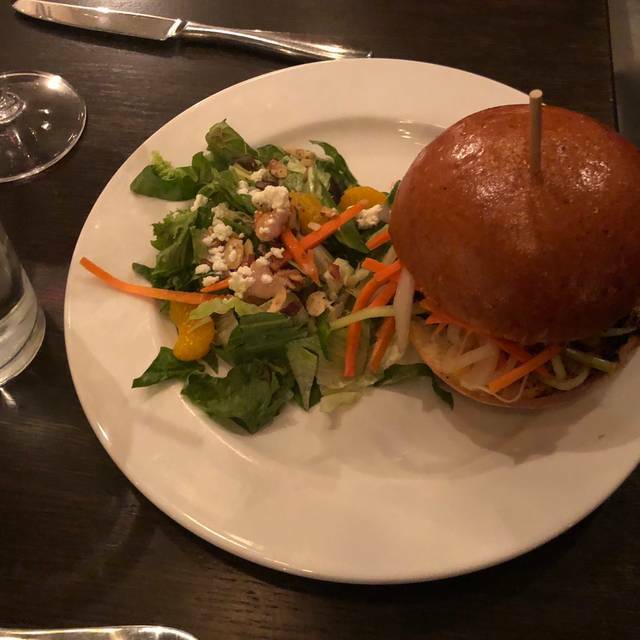 My petite filet mignon was as excellent as it was the first time, but other people were less impressed with the prime rib, sea bass special, and other menu items. The food is good, but not always great. The service was excellent though and you get a lot for your money there. 2nd time here. Food was wonderful. The happy hour menu provides many options and the portion size is perfect. We were celebrating 3 birthdays so the chocolate cake with orange filling and grenache was excellent. Can't leave out the terrific waiter Q (Cinque). Very personable and attentive. Can't wait to return. Fabulous local steakhouse. Always outstanding! As always great food great service. The people are extremely friendly helpful and courteous. The waiter was so attentive and friendly. Two of us had fish and two had steaks. Everyone was more than satisfied with their meals. 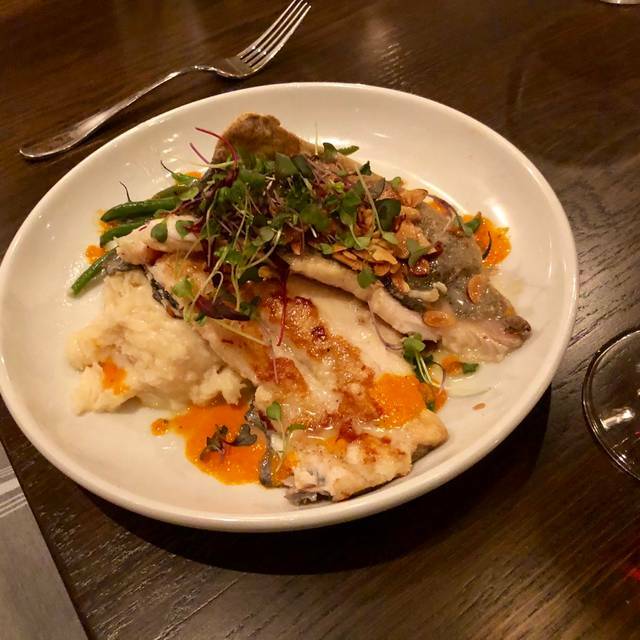 Keelers is our favorite place as is its sister restaurant, Liberty Station! The staff at both venues are fantastic and the menu choices and happy hours are a must do! We always bring out of town guests to Keelers and Liberty Station. First time to this area, and first time to Keelers. Absolutely enjoyed it. Food was good, service was awesome. Sat outside, I would recommend giving it a try. The truffle fries have truffle salt on them. So really they are not truffle fries. They are just French fries. 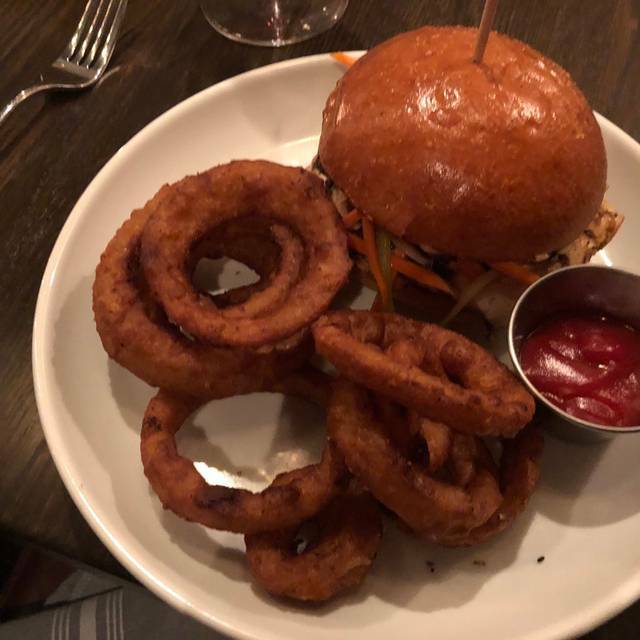 WE had the onion rings and they were great. Everyone's steak was cooked to perfection. I think this place will do well. Be sure to make a reservation. Noise level is terrible. And they got our order wrong three times! WE HAD A SITUATION THAT I HAVE NOT EXPERIENCED BEFORE AND WE DINE OUT OFTEN. AT LEAST 4 NIGHTS A WEEK. WE WERE A PARTY OF 4. MY WIFE AND 2 GUEST. WHEN OUR DINNER WAS SERVED ONE OF OUR GUEST DID NOT RECEIVE HIS. THEY SAID IT WILL BE OUT. AT LEAST 10 MINUTES PASSED BEFORE DINNER ARRIVED. IT WAS AN AWKWARD SITUATION. HE TOLD US TO START HOWEVER IT WAS DIFFICULT TO ENJOY DINNER AND LOOK AT HIS EMPTY PLACE SETTING. MANAGEMENT CAME OVER AND APOLOGIZED HOWEVER THIS WAS A MAJOR SCREW UP AND SHOULD HAVE OFFERED TO COMP HIS DINNER. THE COMP WAS NOT THE POINT BUT IT WOULD HAVE SHOWN THEIR CONCERN AND DESIRE FOR REPEAT BUSINESS SINCE IT DID RUIN OUR DINNER.